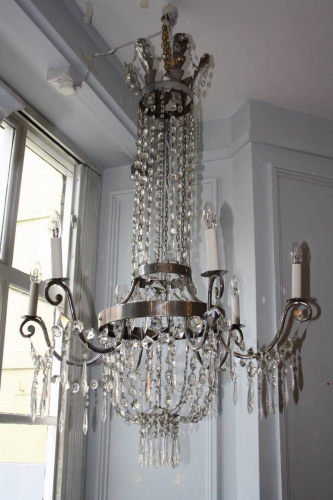 A very elegant silver six branch light chandelier with oak leaf crown detail. French c1970. Rewired and PAT tested for UK.